At an altitude of 350m to 600m. There is a great difference in temperatures between day and night. Nestled among the low temperature area of tea production, the growing conditions in Asamiya seem rather severe. 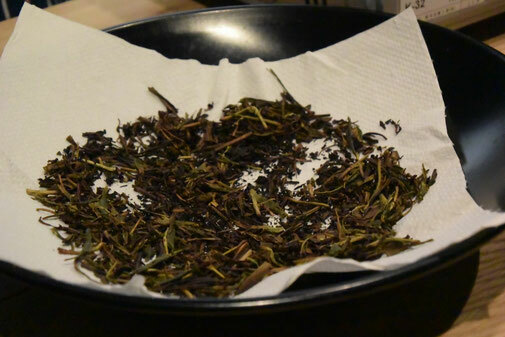 However, that is the key of high quality Asamiya tea as the tea grows more slowly and buds can obtain enough nutrition to create a deep aroma and mellow flavor with the traditional golden yellow color. 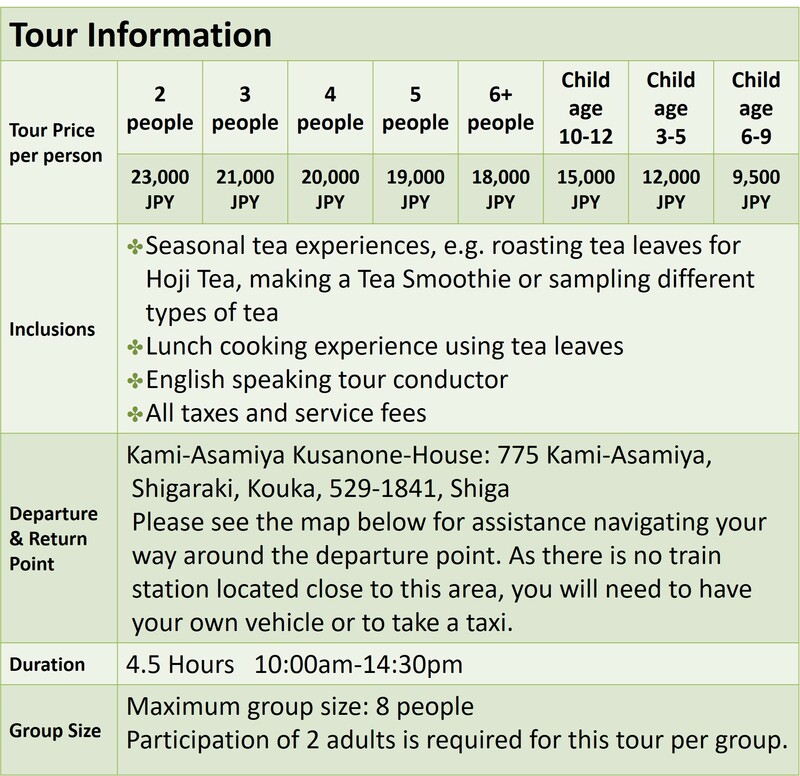 On this tour, we will visit a production area of Japanese green tea in the Asamiya district, southern Shiga. The beautiful green tea plantations completely cover the entire hillsides and make a resplendently picturesque scene. Asamiya tea was first planted by the monk who established Hieizan Enryakuji Temple, the UNESCO World Heritage Site in Shiga, and also brought back tea seeds from China at the time of Tang Dynasty. 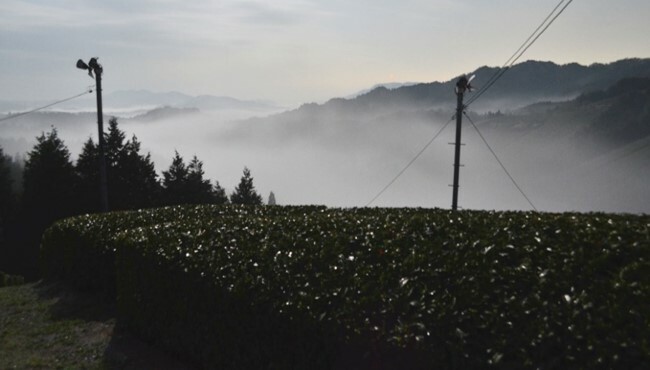 The tea farms found here make up one of the original Japanese tea growing districts with a 1200-year history. 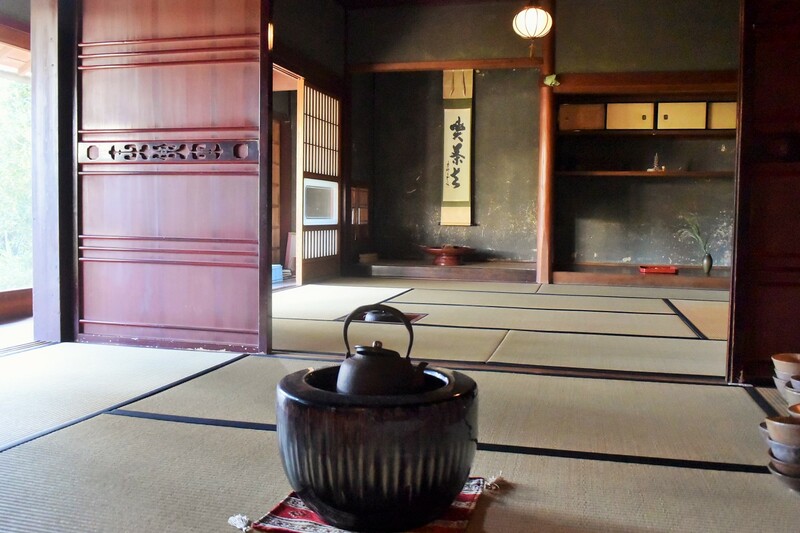 Aromatic Asamiya tea has been produced continuously during that time and the area offers a nostalgic and healing experience to those who visit. 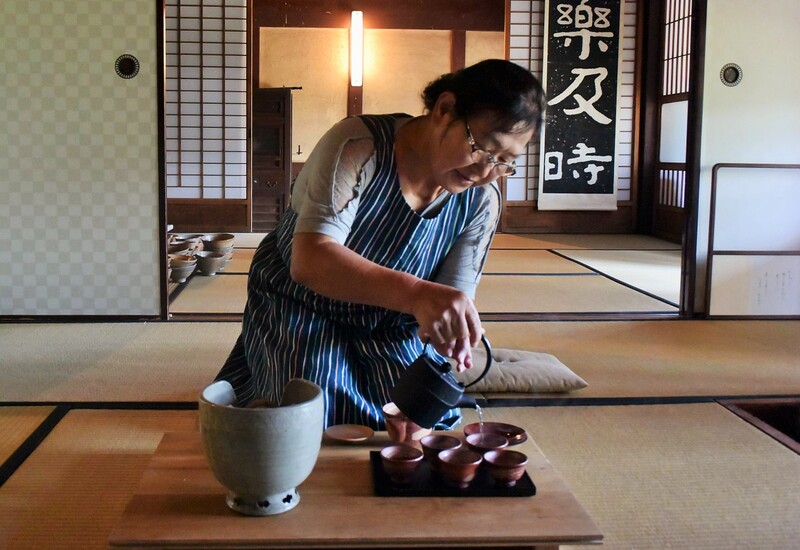 We will learn about Japanese tea from local women who are in the tea business or work as tea farmers. Guests can share in activities such as picking & roasting the leaves and tea tasting from which you can learn the subtle details about different teas appropriate to the season and weather. A lunch cooking session using tea is also available. 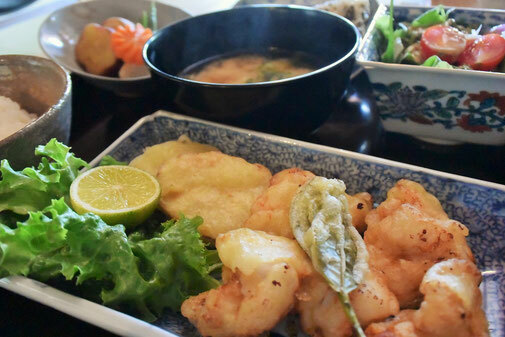 While chatting with the locals, how about making Tea Soba buckwheat noodles or Tempura deep fried tea leaves using fresh local tea? Savor the handmade dishes surrounded by beautiful scenery and the scent of fresh tea that will certainly add to your appetite. This tour is closed in August and February. An optional taxi service is available from JR Ishiyama station which is just a 15min train ride from JR Kyoto station. The taxi driver will meet you at JR Ishiyama station and will take you up to the tour starting point. (Please note: The driver does not speak English). Chartered fee for the taxi is 15,000 JPY (maximum 3 people). From the station to the meeting point is 22km (13.7 miles). What will entertain and interest you? At the beginning of the tour, visit the beautiful green tea plantation meticulously spread out along the hillside. 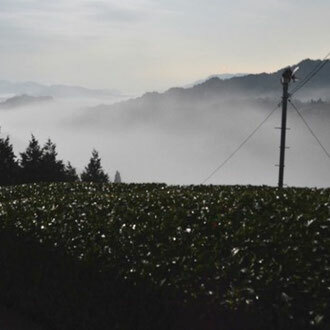 Located in the midst of the mountains, Asamiya’s tea plantation has a huge temperature gap between day and night. Also, because of its location, it is difficult to access with a vehicle or to use any machinery on the plantations. 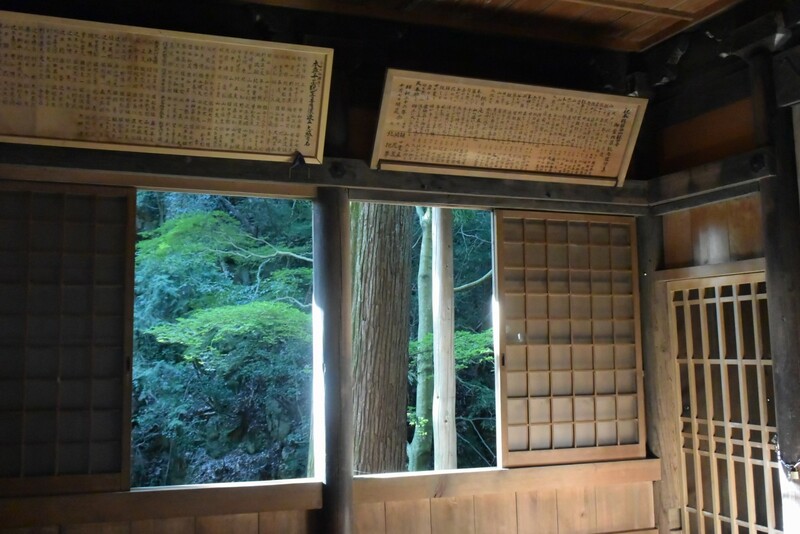 However, Asamiya is known as one of the top-five quality tea production areas in Japan by tea lovers. Here you will have a chance to hear about how the tea is grown and stories related to the tea plantation. You will also have a chance to harvest some tea leaves for lunchtime. 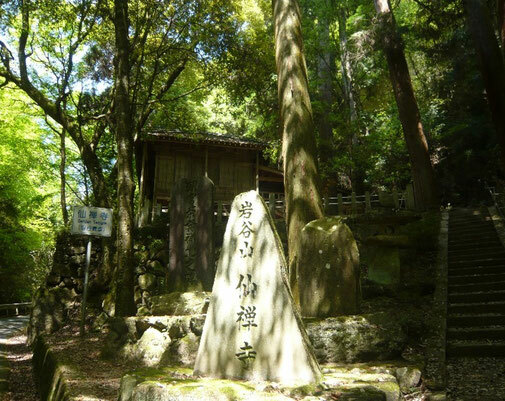 After leaving the tea plantation, you will visit a small Buddhist temple in the forest, which is believed to be the place where the first tea plant was planted in Asamiya. 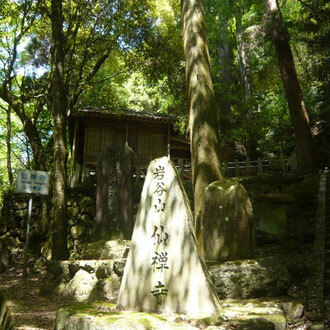 This is the place where local people come together several times a year to keep their tradition and religious belief. 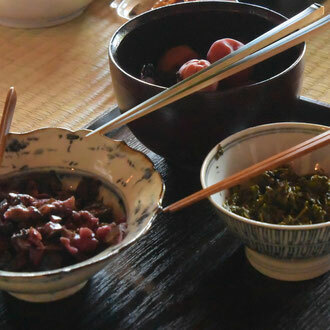 For lunchtime, how about some local homemade dish made with tea leaves? Tea leaves contains valuable nutrients such as water soluble catechin (which helps to lower cholesterol, and contains anti-oxidants to promote anti-aging), vitamin C, Vitamin E, Fiber, Minerals and Chlorophyll. Recently many ways to prepare and cook tea leaves in order to fully provide these nutrients have been invented. 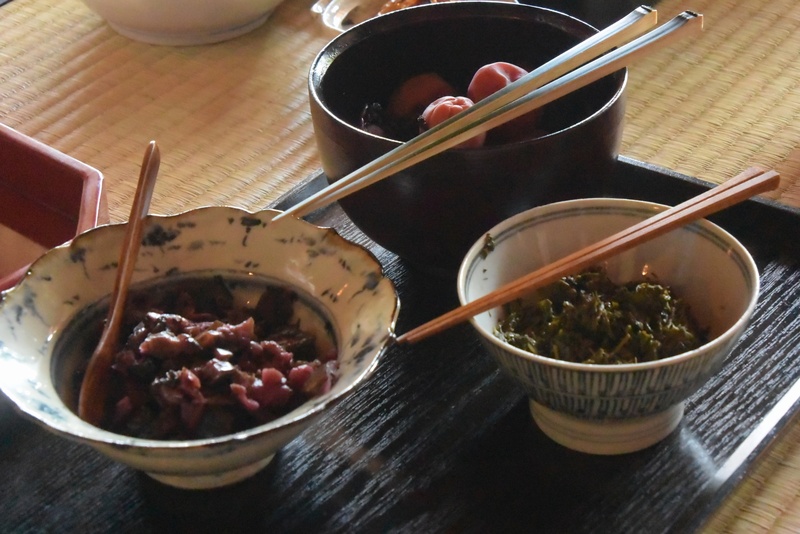 On this tour, you will be introduced to Tea leaf Tempura, Tea Rice Porridge and Tea leaf ‘Tsukudani’ (tea leaves cooked with soy sauce and rice wine). *Menu items may vary seasonally. After fully enjoying the delicious lunch, try tasting several varieties of tea. Tea is a delicate beverage where the taste comes out differently according to the brewing time and temperature as well as the teapot and cups that are used. 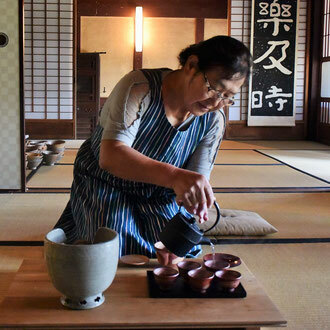 This is a great chance for you to learn how to brew a perfect Japanese cup of tea. 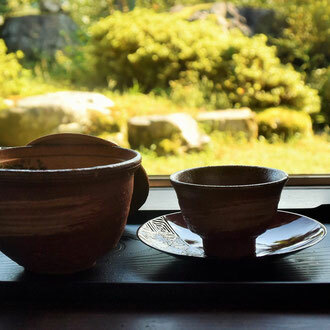 Next, you will be guided to roast your own ‘Hoji’ tea (roasted green tea) using uniquely-shaped ceramic wear. Hoji tea has less caffeine and tannin compared to green tea and is said to be the ideal after-meal drink. While roasting, the tea’s pungent aroma fills the room. Enjoy freshly roasted Hoji tea with a homemade dessert made with fresh tea leaves. 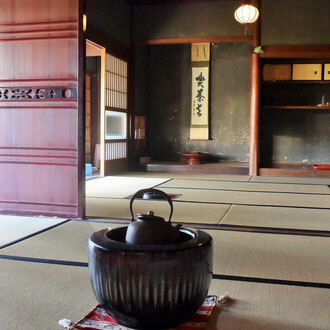 *During the summer season, we offer fresh tea leaf smoothie-making instead of Hoji tea roasting. 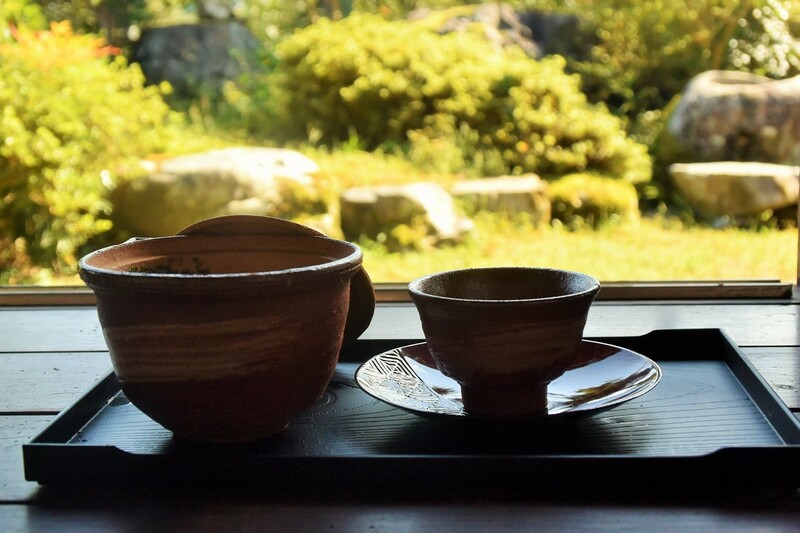 After savoring the fresh tea, why not go on to the world-famous Miho Museum located close to the Asamiya tea fields? Along with its breath-taking design where the building merge into the surrounding nature, visitors can enjoy the gorgeous collection of works from ancient civilizations. 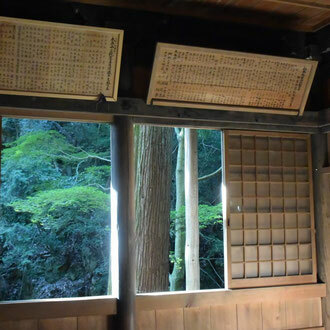 The museum offers one of the leading collections of all the private museums in Japan. The building was designed by the renowned architect I.M. Pei who designed the "Glass Pyramid " of the Louvre in Paris. 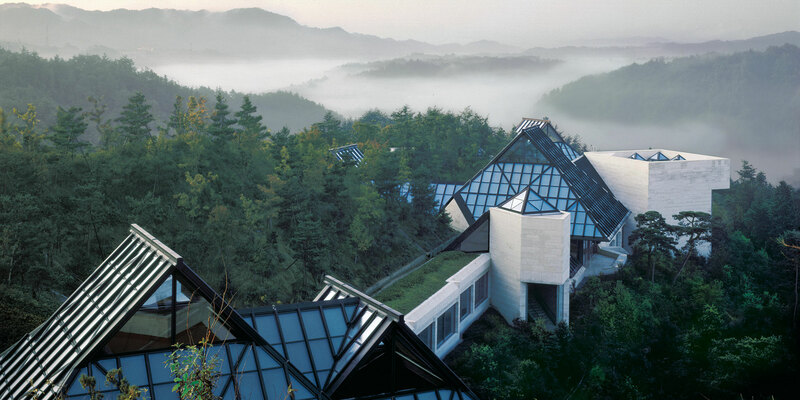 Pei came to consider the museum as an image of Shangri-La, and 80% of the building is situated underground, carved out of a rocky mountaintop and thus merging beautifully into the surrounding nature.